It was clear from the very beginning that this season Raf Simons was intent on creating a moment. Rumors began months ago that he would reveal his collection in an obscure location thirty-minutes outside of Paris, and, eventually, that’s exactly what he did. Calder and Prouvé seemed to form an appropriate context for Raf’s collection this season. Most notably for the industrial nature of their work, but also the inherent sense of freedom associated with Calder’s sculptures, which at any moment can react, move and chance position when confronted with an external force. “It’s a very emotional thing for me,” he explained. The collection itself explored the ideas concerning branding and consumption. 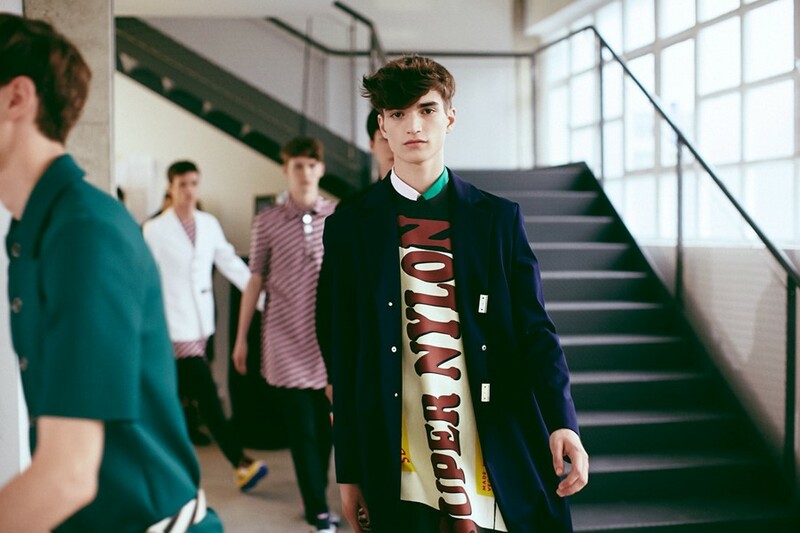 Raf covered oversized t-shirts and bags with slogans such as - ‘Yo-Ga’, ‘Clusters-Artificially Flavored- Super Nylon’. Each one in an array of pop colours. There was also a gender aspect with this collection. Silhouettes were cropped, models appeared with oversized t-shirts worn as dresses, pinafores and skirts. “I think it has always been hanging around our brand a little bit,” Raf said in response.